A whole slew of exciting collaborations was unveiled by BAPE during its recent “BAPE XXV” 25th-anniversary exhibition held in Tokyo, Japan. 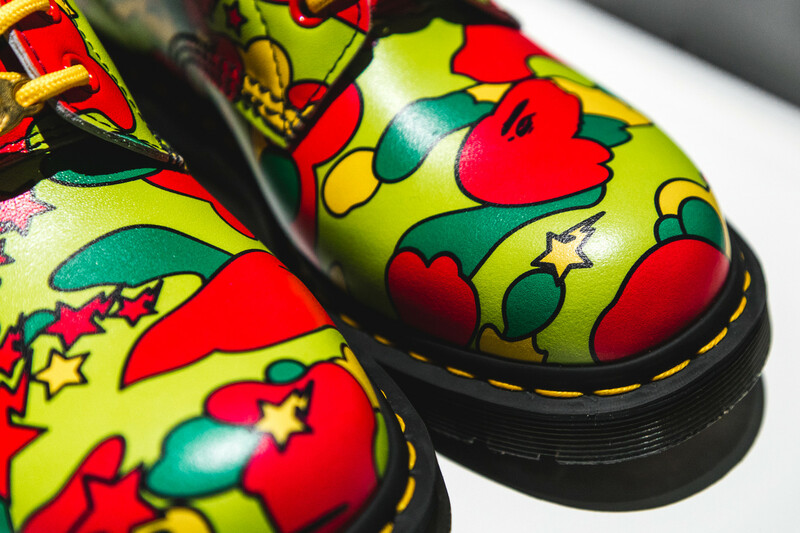 Amongst the anticipated drops includes another collaborative effort with the quintessentially British label, Dr. Martens. Featured in the collection are two of Dr. Martens’ signature silhouettes such as the 3-Eye Shoe model and the the 8-Eye Boot. 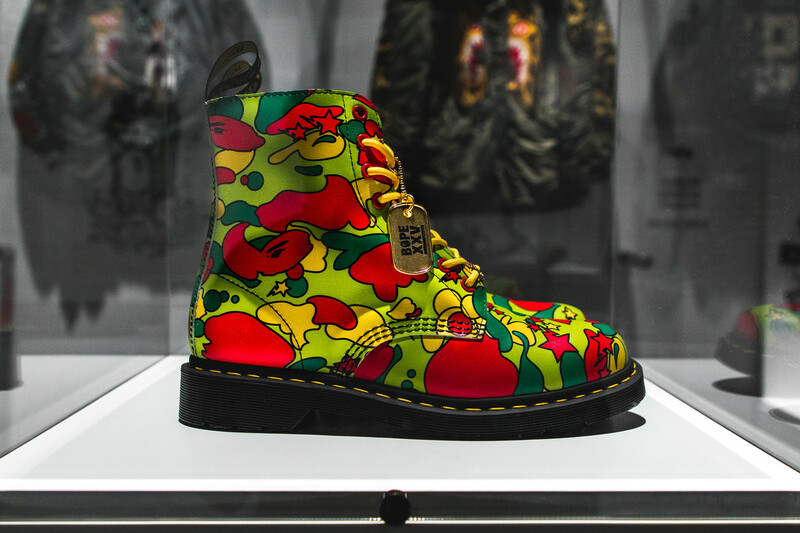 Each model is dressed in BAPE’s vibrant Ape Head and STA camo and sees a golden “BAPE XXV” dog tag hanging from the laces. 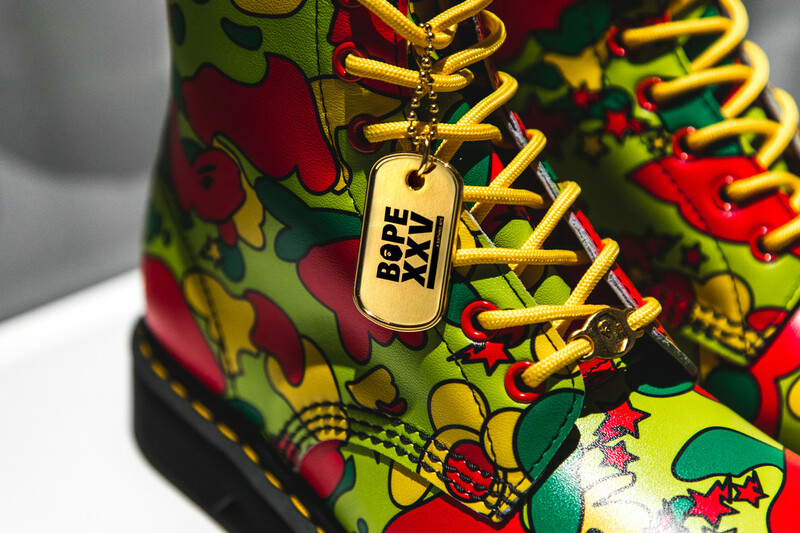 Peep the upcoming Dr. Martens x BAPE “BAPE XXV” collaboration above and stay tuned for release information.